Ball Lock Disconnects – just $3.49 via Draft Accessories Sale! 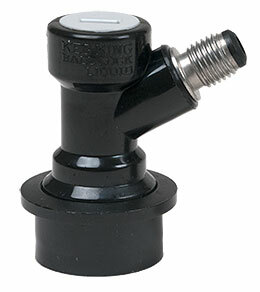 As of this posting, William’s Brewing is discounting a variety of keg accessories including disconnects, commercial keg conversion fittings, sanke taps and more by 15%. This sale brings Keg King brand ball lock disconnects down to just $3.39. No coupon code is required, check William’s for current selection, availability and pricing. This entry was posted in Draft, Kegerator, William's Brewing on April 1, 2018 by admin.